Jason Goopy is Head of The Arts and Choral Coordinator at Ambrose Treacy College, and a Doctor of Philosophy candidate in music education at the University of Queensland. He has experience in teaching music in early childhood, primary and secondary schools, one-to-one studios, tertiary institutions and community settings, and is a respected chorister and music director. Previously, Jason was an Academic Music Teacher at Brisbane Boys’ College where he established the Music Every Day Program for every student from Foundation to Year 3. Jason has held numerous positions in lecturing, assessment and curriculum design at the University of Queensland and the University of New England. He is a Council member of the Australian Society for Music Education Queensland Chapter and the President of the Kodály Music Education Institute of Australia National Council. Jason has presented workshops and academic papers at national and international conferences. Jason Boron is Lecturer in Music Education at Edith Cowan University, Western Australia. He is an experienced music educator having taught in early childhood, primary, secondary and tertiary settings. In 2013, Jason established the first Every Day Music program in Western Australia at Presbyterian Ladies’ College. He has served in executive roles for both the Australian Society for Music Education and the KMEIA, is coordinator of the WA Australian Kodály Certificate Course, and currently chairs the 2018 Kodály National Conference Organising Committee. Jason is a past recipient of the Sarolta Kodály Scholarship awarded by the International Kodály Society. He graduated in 2016 with a Master of Arts (in Kodály Music Pedagogy) with highest honours from the Kodály Institute of the Liszt Academy of Music, Hungary. 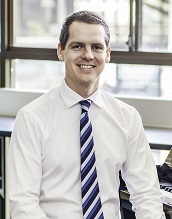 Joel Copeland currently holds the position of Dean of Music at Canberra Girls Grammar School. He was previously employed at Radford College where he was Head of Music and Director of Choirs. Joel holds a Bachelor of Education (Secondary Music) and has been an exponent of the Kodály philosophy throughout his teaching career. In 2015, he received the Australian Kodály Certificate in Secondary Music Education and is completing a Master’s in Education (Educational Leadership). 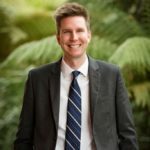 Joel obtained an Advanced Diploma in Leadership and Management through the Australian Institute of Management and has served the Radford College Board as a Director. 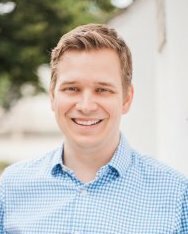 Joel served 4 years as the National President of the Kodály Music Education Institute of Australia (KMEIA Inc.), is a past President of the ACT Music Educators Network and is a passionate advocate for Music Education. Susan Creese has specialised in designing and implementing Primary Music programs that are inspired by Kodály’s educational philosophies within P-12 schools including All Saints Anglican School and Moreton Bay College. 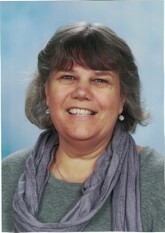 She is currently the Primary Music Coordinator at St Peters Lutheran College Indooroopilly. Susan holds a Bachelor of Music in Piano Performance and Pedagogy, a Graduate Diploma in Education, and a Master of Arts degree in Kodály Music Pedagogy from the Kodály Institute of the Liszt Academy in Hungary. 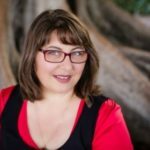 Susan has extensive experience as a choral conductor and singer, and is currently a member of Brisbane chamber choir, Fusion. She has an interest in teacher development and lectures in musicianship, conducting and methodology around Australia. Susan taught music in rural and remote areas of Queensland for ten years before settling in Toowoomba. As a beginning teacher she had the opportunity to attend the Ten Week Music In-service Course. Susan has conducted many school choirs, combined small school choirs as well as community choirs. Since settling in Toowoomba she has travelled fewer miles but has completed her AKC and continued her work in small schools as well as in boarding school settings. She is currently working with Cath Ed across 2 schools, Mary Mackillop Catholic College in Highfields and St Monica’s in Oakey. Susan has held the National Treasurer’s role for KMEIA since 2013. National Councillor since 2008 (co-opted 2009; elected 2010); Editor of the Australian Kodály Bulletin (2005-2008); the Australian Kodály Journal 2009-2010; and Co-Editor of the 2011 online journal; Honorary Life Member of KMEIA. Ann is keen to support KMEIA National Council in its deliberations and in support of KMEIA members. Ann taught in state primary, one-teacher and secondary schools and in an Anglican secondary boys school. 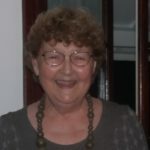 From 1977 to 2003 she was responsible for music education policies and programs, and for professional development of primary and secondary specialist music classroom and instrumental music staff in Qld government schools. This included state-wide strategic plans for rollout of music services, buildings, equipment, qualifications of teachers, professional development of teachers, conferences of teachers. In later years she was also responsible for a wide range of curriculum areas and gifted programs. From 1979-2004 Ann was AMEB Qld Committee Chair and one of the six Federal AMEB Board Company Directors. She was on the Executive for most of that time including eight years as Federal Chair. Ann introduced Kodály-based programs for Education Qld commencing with the well-researched Qld Pilot Music Program 1977-1987 and the intensive 300 hour (10 week full-time) professional development courses training upwards of 600 state school primary music specialists from 1983 until 1999. Ann served 25 years from 1979 on the Qld Conservatorium Council including as Deputy Chair, and 25 years on UQ’s Music Faculty and School of Music Board, followed by appointment as Adjunct Associate Professor UQ from 2004-2008. Donna Cianciosi is currently employed as Head of Music at the International School of Western Australia, where she has built a program which combines an aural methodology within the inquiry-based philosophy of the International Baccalaureate. She is an experienced music educator who has taught students all ages within different educational environments. Donna received her Bachelor of Music Education from the University of Western Australia and her Master’s in Music, majoring in Aural Pedagogy, from the University of Queensland. In 2014 Donna was awarded the Advanced Diploma in Choral Conducting from the Kodály Institute of the Liszt Ferenc Academy of Music in Hungary and has also completed the Australian Kodály Certificate in Primary and Secondary methodology. Donna has presented papers and workshops at national and international conferences. She previously served on the Western Australia Branch committee from 2009 – 2015. Tess Laird has been a music specialist for 27 years and holds a Masters in Music Studies from UQ. She is an accredited lecturer for the Australian Kodály Certificate, and has been the Chair of the Education Committee of KMEIA for 10 years. Tess regularly provides professional development throughout Australia, and she presented recently at the IKS symposia in Scotland and Canada. While demonstrating a solid commitment to providing quality music education in state schools, Tess has also helped to formulate KMEIA’s responses to the National Curriculum, and to the Victorian Parliament’s Enquiry into the Benefits of Music Education. 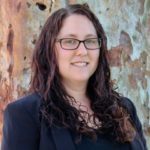 Stefanie is currently working as a Primary Music Specialist in the Scenic Rim, QLD and has filled a temporary vacancy on the National Council during 2017. 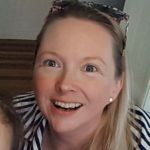 She has previously gathered extensive teaching experience in secondary schools, filling the roles of HoD (Music) and DoM at different schools over the past two decades. Having taught in both private and public schools and across sectors (including a small stint at CUA), she understands the needs of Music teachers in a variety of settings. Stefanie is a passionate advocate for Music Education and believes that it is vital to the health of our society that all children, regardless of circumstances, have access to high quality music education. Stefanie has recently completed her M.Ed., focussing on human creativity and the role music education can play towards the development of creativity in schools. Katharine has been a Preschool and Primary School Music Specialist teacher for 32 years, working in Queensland, Victoria, the ACT and London. She has a B. Mus. Ed. Degree from the Qld Conservatorium of Music, with Distinction. Katharine’s sequential, developmental teaching programs are based on the Kodaly philosophy, reflecting her passion for singing. In 2011 Katharine received a National Award for Excellence in School Music Education. In 2014, she was nominated for the Katalin Forrai award for Preschool Music Education, which was administered by the International Kodaly Society. Katharine is currently employed as the Executive Teacher, Professional Practice for Music and the Arts in the ACT. She works with classroom teachers across a number of schools, supporting them to deliver music education programs to their classes and to develop choirs. She is the founder and conductor of the successful ACT Primary and Senior Concert Choirs. In 2016 the ACT Primary Concert Choir received a Community Service Award from the OAM Association, presented by the Governor General. 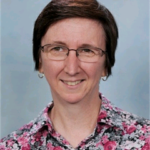 Katharine is a Nationally Certified Lead Teacher (AITSL) and she is the President of KMEIA ACT. Catriona Turnbull is a classroom teacher (currently P-6) and director of several choirs at Ascham School in Sydney. She has a keen interest in how children learn to read music and become independent musicians. Catriona combines this interest with exceptional IT skills and a love of visual presentation. She has explored and developed many resources to facilitate the education of children in secondary, primary and infants school. Catriona has a passion for choral music and believes every child should have the opportunity to find their voice and experience the joy of singing in a choir. 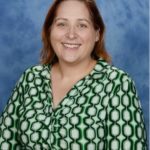 Deb Brydon is a primary music specialist who has returned to music teaching after working as a Senior Project Writer with Education Queensland’s Curriculum into the Classroom project, writing for Music and The Arts. She has taught primary school music for 20 years in both Charters Towers and Brisbane. 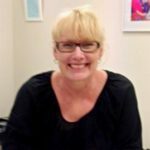 Deb has been an accredited do-re-mi teacher and has also taught Classroom Music at Griffith University. She has been on the KMEIA Qld committee for 15 years. Deb has been the project co-ordinator for KMEIA QLD’s DVD Projects including Musical Beginnings, Middle Years Music Education and the upcoming Step Up With Music. She holds an Australian Kodály Certificate (Early Childhood) and is currently President of KMEIA QLD. Gaby did her initial music and educational training in Switzerland. She studied voice at the Konservatorium in Zürich as well as gained her qualification as a primary school teacher there. Since arriving in Australia in 1988 Gaby has been teaching music programs in schools and early childhood settings. She currently teaches and assesses Choir for Festival of Music- a departmental Choral Program for students in Y 5-7. She is the deputy conductor for SAPPS (South Australian Public Primary School Choir- an auditioned extracurricular choir). Gaby has been part of the National Music Mentoring Program (NMTMP) as an initial mentor. She will continue this role in 2019 and expand into mentoring the mentors as lead mentor. Gaby has been part of the KMEIA SA committee for the past 11 years, she has served in different roles and is currently president of Kodály SA. She is a regular presenter at their workshops. She has also presented for ANCA SA. Gaby lectures and teaches at Flinders University, working with preservice teachers in workshop series to implement Music into their teaching practice. Susan has more than 30 years of experience as a music teacher in a great range of schools, including co-educational, girls-only and boys-only schools in the state and private sectors. She has established and taught in a number of Kodály-centred programs for Early Childhood and Primary students and enjoys thinking of innovative ways to deliver an engaging and focused curriculum that will lead to independent musicianship. Susan has a passion for choir and has conducted primary, secondary and adult choirs. She lectures Primary Levels One and Two in Victoria and has presented many workshops and courses in Victoria and Tasmania. 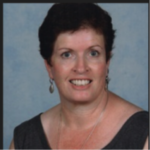 Susan currently teaches at Trinity Grammar School, where she is Coordinator of Junior Music. 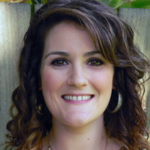 Rosalie is a Classroom Music Teacher and Instrumental Music Teacher (Voice) at Hale School in Western Australia. She has been involved in KMEIA since the beginning of the Western Australia Branch. She has been on National Council previously in her role as WA Branch President and is delighted to have the opportunity to represent members again. 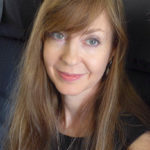 Rosalie regularly presents workshops for KMEIA WA, is an Australian Kodály Certificate accredited lecturer, and is currently Editor of the KMEIA National Newsletter. Recently she has begun to specialise in early literacy and numeracy development through the use of singing, movement and singing stories in the classroom. This area has become a new passion for Rosalie and she has thoroughly enjoyed developing a Kodály-inspired program for Years 1-5 that is being trialled at Hale School called “Sing2Learn”.